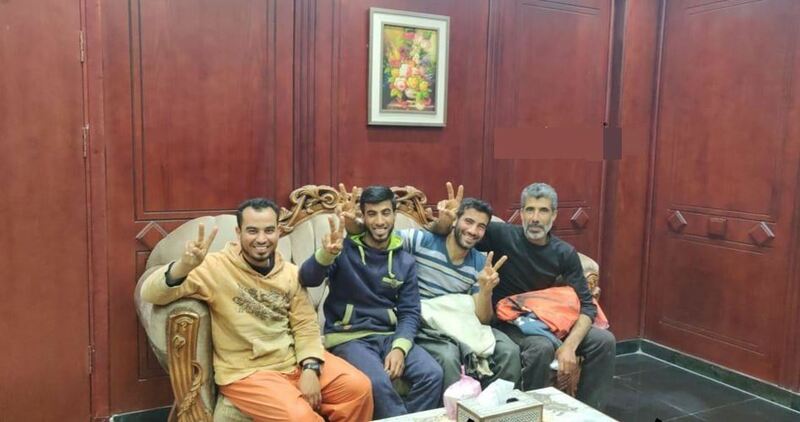 The Egyptian authorities on Sunday evening released four Palestinian fishermen after they were arrested recently in Rafah waters between the Gaza Strip and Egypt. The released fishermen arrived in Gaza through the Rafah border crossing, where officials from the Palestinian interior ministry received and welcomed them. 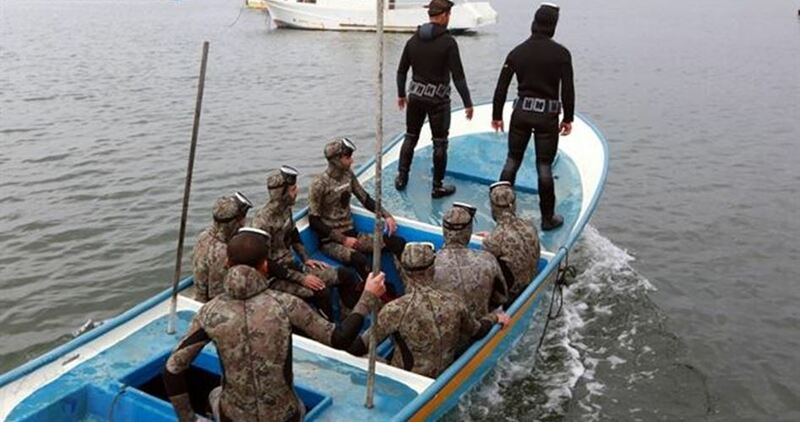 Egyptian naval forces had arrested the fishermen about a week ago and wounded one of them during their presence off the southern coast of Gaza. Israeli navy ships attacked, on Tuesday at noon, several Palestinian fishing boats in the Central District of the besieged and impoverished Gaza Strip. The head of the Palestinian Fishermen Union in Gaza, Zakariya Bakr, said the navy chased several fishing boats less than twelve nautical miles from the shore. Bakr added that the navy sprayed the boats with waste-water mixed with chemicals. In related news, Egyptian navy ships surrounded a Palestinian fishing boat nearly 250 meters away from Egyptian waters, before detaining three fishermen, identified as Mos’ab Qannan, 23, Khaled Qannan, 26, and Ra’fat Qanna, 43, from Khan Younis, in the southern part of the Gaza Strip, and confiscated their boat. The Egyptian navy also detained another fisherman, identified as Soheib Abu Salmiya, after opening fire at his boat, near Rafah, in southern Gaza. The Hamas Movement has strongly denounced the deadly attack on Egyptian soldiers in northern Sinai on Saturday, describing it as a criminal and terrorist act targeting Egypt’s security and stability. In a press release, Hamas said that such heinous acts would help the enemies of Egypt and the Muslim nation to carry out their schemes and drag the region into a spiral of more violence. Fifteen Egyptian military personnel were killed or wounded in a terror attack on Saturday morning in North Sinai. 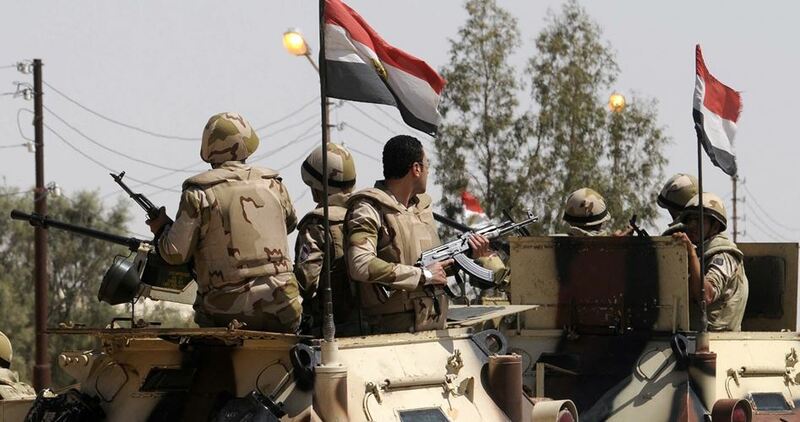 Seven militants were also killed during armed clashes with Egyptian soldiers. Member of Hamas’s political bureau Mohamed Nazzal has affirmed that Egypt pledged to release Palestinian prisoners from its jails, adding that there is important progress in this regard. 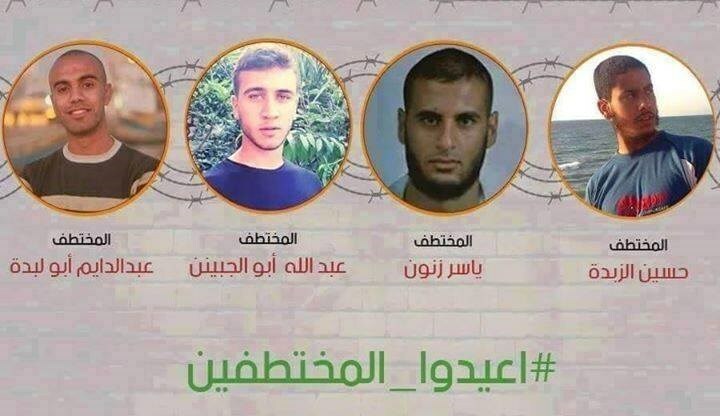 “Hamas is following up the issue of the detainees in Egyptian prisons, especially with regard to its four prisoners,” Nazzal said in recent remarks to Shehab News Agency. On August 19, 2015, unknown gunmen kidnapped four Palestinian young men from al-Qassam Brigades of Hamas after intercepting a passenger bus in northern Sinai as it was en route to Cairo airport. Nazzal pointed out that there was a decrease in the number of Palestinian detainees in Egyptian jails, asserting that Hamas was following up the files of all Palestinian prisoners who were exposed to illegal detention in Egypt. 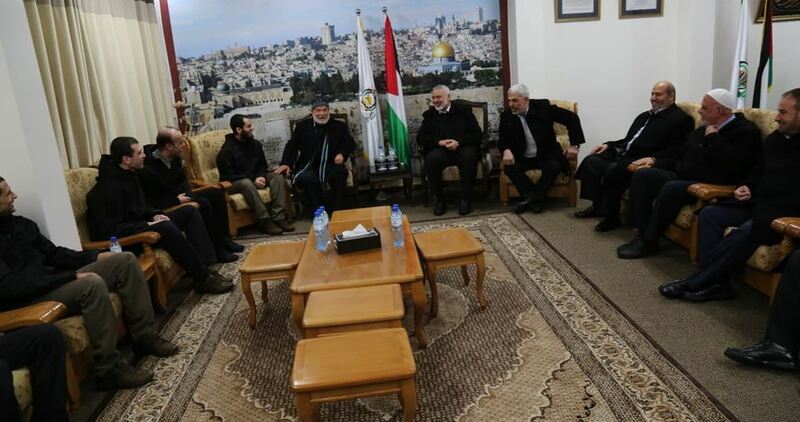 The Hamas official also accused the Palestinian Authority (PA) leadership of conspiring against Gaza and trying to push its population to explode instead of assuming its responsibilities. However, he said that the Palestinian parties in Gaza and the UN would continue to make efforts to have the siege on Gaza lifted, adding that the Egyptians promised not to close the Rafah border crossing. 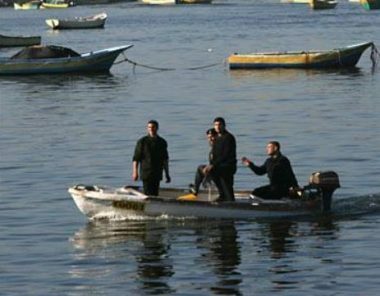 Palestinian naval forces in the blockaded Gaza Strip pulled the body of an Egyptian fisherman from Gaza’s western shoreline. Reporting from the besieged enclave, a PIC news correspondent said the seventh Egyptian fisherman who disappeared following the storm that hit the area on January 17 was found dead and transferred to a hospital. The Naval Police in the blockaded Gaza Strip rescued at daybreak Thursday six Egyptian fishermen off Gaza’s seashore, after violent winds tossed their fishing vessel into Gaza’s water. 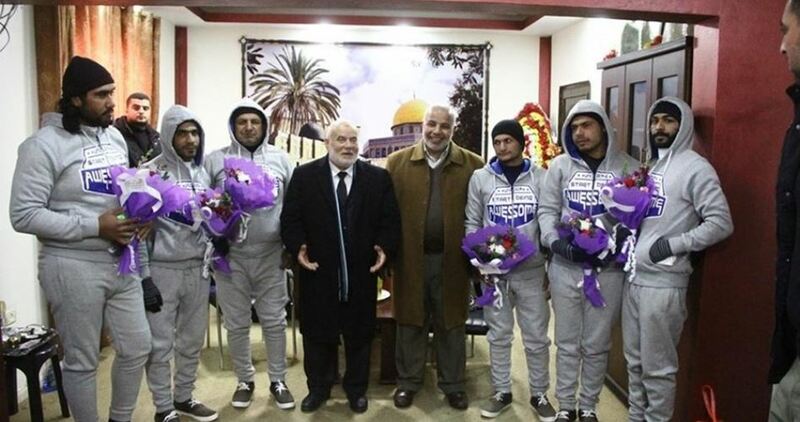 The six rescued Egyptians were taken to Shuhadaa al-Aqsa Hospital for treatment. Media sources said Gaza’s naval forces rushed to the scene to pull the Egyptian fishermen after their boat capsized and crashed in Gaza’s coast. Another fishermen has, however, gone missing. The six rescued Egyptians were taken to Shuhadaa al-Aqsa Hospital for treatment.